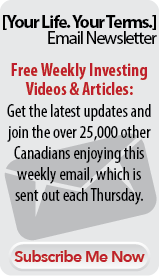 "New FREE Real Estate Investing Class Helps Beginning Investors In The GTA Profit From Nice Homes"
To hold a spot in our next real estate investing class, fill out the form below and don't hesitate...we fill these classes quickly and only hold them on a sporadic basis in our Oakville, Ontario offices. 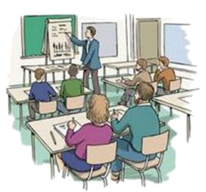 In this class you will be exposed to investing strategies that are being used successfully right in your own backyard. Click Here To Register For This Free Class Now! "I got started quickly and was able to purchase my first property with the help of Tom & Nick's Income for Life system. In just a seven days, I had $13,100 literally in my back pocket, $220 of monthly cash flow, and locked in profit of over $24,000. I'm currently excited to buy more properties. Tom and Nick offered me a sense of security because I knew that I was not alone throughout the process. They were there to help me make the best decisions. It's a great feeling knowing that you have real estate mentors/coaches who have actually done it and done it so many times that they can identify any pitfalls early in the investing cycle." This investment property seminar isn't just fancy theory, we actually implement these strategies ourselves with our clients and we are constantly updating the class to reflect the latest trends. How to profit from Real Estate right here in the Greater Toronto Area without having to rehab and renovate distressed homes. A Secret Wealth Building Strategy that will help you double your assets, cash flow and wealth every two years. 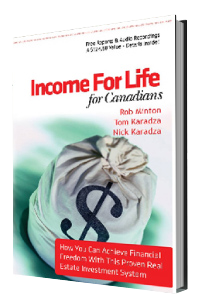 You will receive an audio interview with real investors who share how they are profiting from using these strategies right in the Greater Toronto and Golden Horseshoe Area. At this investment property seminar, you will also receive $250 in Free Gifts including an audio CD of actual investors detailing their investing experiences. After you complete the form you will receive an email with the date of the next class and location details. We often host this investment property seminar in our Oakville offices and occasionally take the class on the road to other locations around the Greater Toronto Area.